*update* please send packages via USPS (ideally priority mail). We’ve had trouble receiving FedEx and UPS. Thanks! Hi friends! 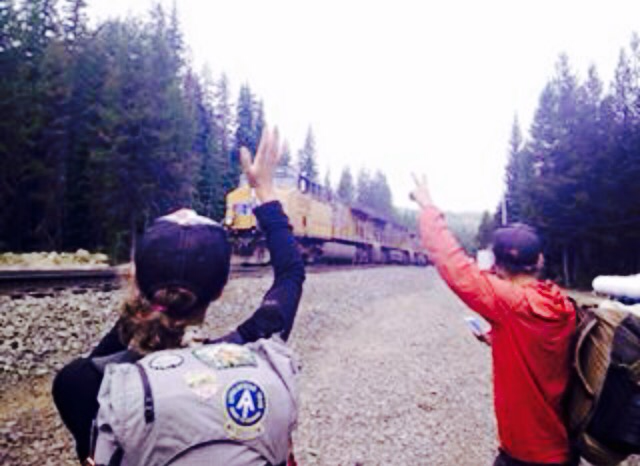 This week we are 2 months and 1330 miles into our trip – half way done with the PCT. We can’t believe it! There are only 4 opportunities left to send us mail. So for those who would like to send us a postcard, newspaper clipping or vegan snack… Here are your last chances. Again- thank you so much!! If you hate the post office, you can support our journey by contributing to our Eternal Pizza Party. Thanks to Marc at MAHA, Jim & Char, Megan, Alan, and Angel! Our latest EPP Heros!! This entry was posted in Uncategorized on August 18, 2015 by Harpo.